Penguin, Our Hero had elements of Gotham that I love. A balance of good humor and jaw dropping moments. 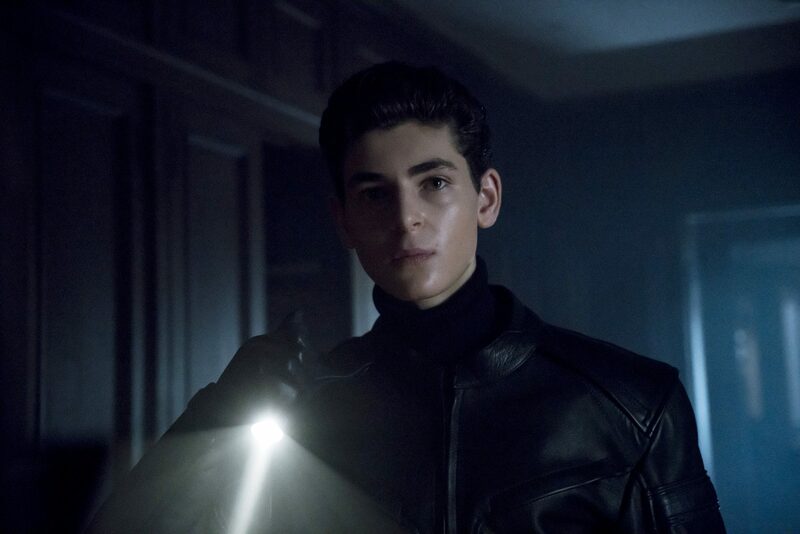 Tze Chun has been writing episodes for Gotham since 2016, and this is the first of three episodes he has penned for this season. Another Gotham favourite returns to direct this episode Rob Bailey. His first iconic Gotham episode was “Penguins Umbrella” episode 7 all the way back in season 1. 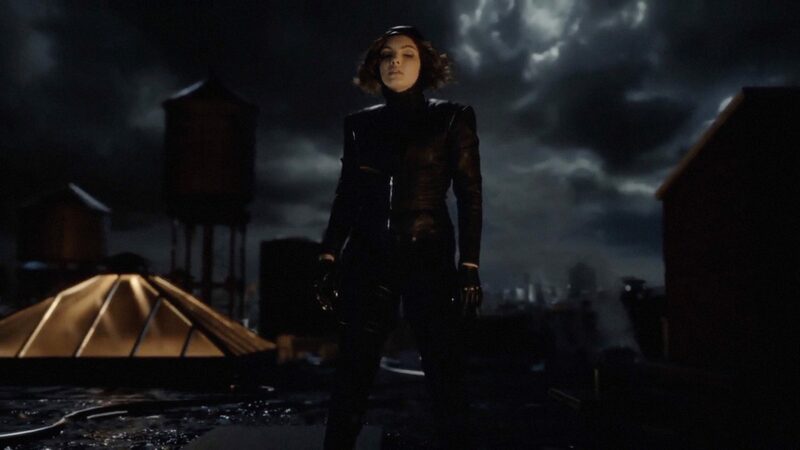 Gotham writers have always been extremely good at introducing characters that may be around only for one episode or they may reoccur throughout the seasons. 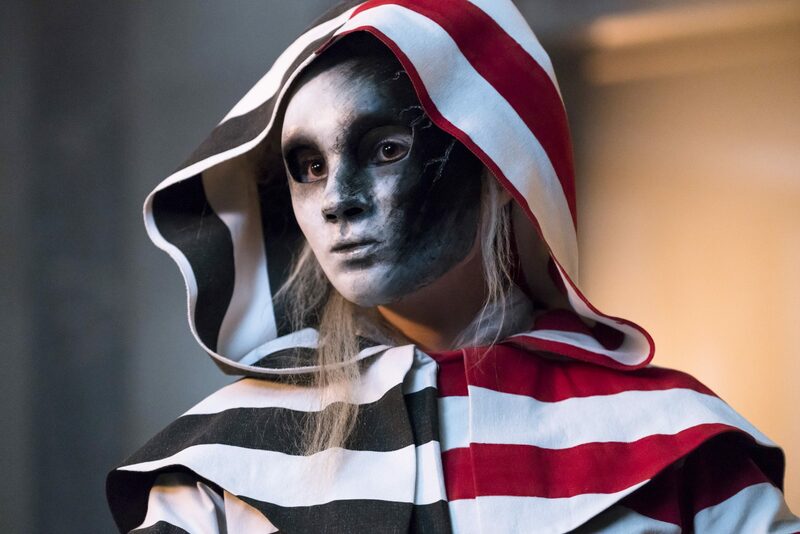 We have had a few crazy nurses, pharmacists that have had to deal with some of our Gotham residents, Arkham Asylum wardens and Officers, Olga- Penguins wonderful housekeeper and because this is a huge episode for this character Mr Arthur Penn. His back story alone is very interesting. Don Carmine Falcone trusted this man with information and accounts on his business. Falcone asked Mr Penn to keep an eye out for his daughter and how the licensing of Pax Penguina worked in the city. Oswald Cobblepot definitely found Mr Penn loyal. He may of missed the hint that Mr Penn was giving Mr Cobblepot about Sofia Falcone maybe wasn’t on Penguins side after all. Mr Penn always delivered bad news to Oswald at arms length but he appreciated the truth. So why was this a big episode for Mr Penn? As Oswald feeds his dog Edward, Mr Penn has news of the steady production. Mr Penn reads out statics from their stores as one of the members of the choir faints. Penguin wants to know why on his counter tenor has passed out. 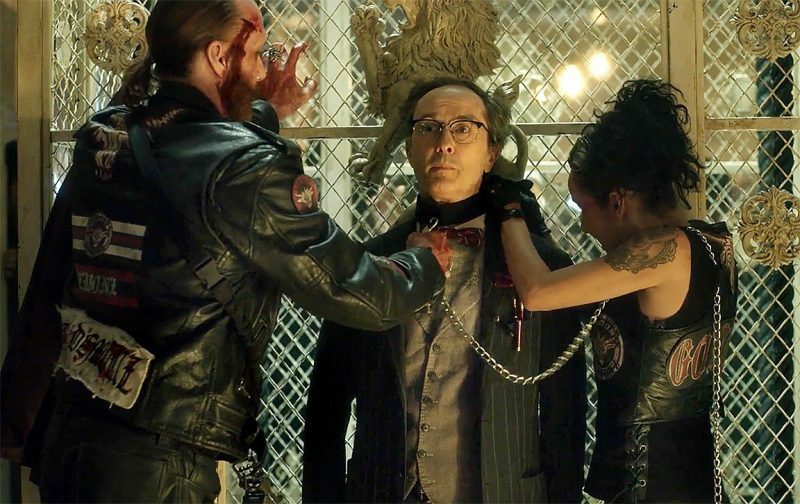 Mr Penn has always had a wonderful way of delivering news to Mr Cobblepot and this scene is no different. The workers have been working through the night in the bullet factory. They are currently short handed. Oswald realises that Mr Penn has been holding back information as a lot of the people have been defecting. Mr Penn offers Penguin a thousand apologies as he could not stand to see Oswald upset whilst he was recovering from his gunshot to his leg. 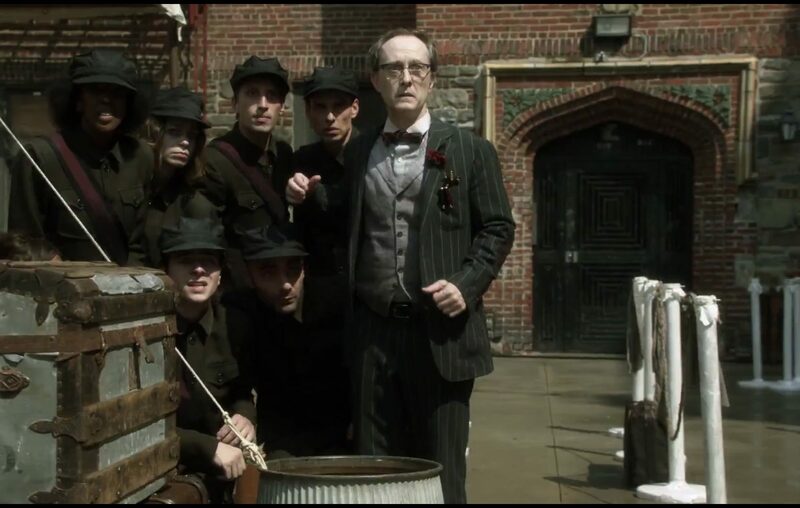 Oswald demands to know everything, Mr Penn believes the rumour is, that the people have fled to a place called Haven which is in Jim Gordon’s sector. Penguin is so enraged that people are fleeing to Jim after he shot him, that the choir jump. Mr Penn gives Oswald one more truth, they have had trouble getting people to take up the offer for Jims head. Because the people love him. Oswald believes people should love him. Every territory is fleeing to Haven. Finally breakfast has arrived but members of the Street Demonz ambush Penguin with gun fire. Penguin is fully prepared for any kind of ambush and fires back with his own weapon. He asks one of the members of The Street Demonz why he owes this honour. The Street Demonz explains that Penguin hit their strong hold and killed his men, along with The Lo Boys and The Undead gang. Oswald finds this amusing and asks sarcastically “did I now?” With the graffiti left on the wall saying Penguin was here. Oswald explains if he wanted to start a gang war everyone would be dead and he would not leave a few. The Street Demonz believes this is a good point and maybe he didn’t think it through. Well Penguin is going to give him the opportunity to think it through whilst his men rip out their fingernails and chain them up. The surprising part of this scene for the first time since Mr Penn has worked for Mr Cobblepot he threatens his life and you can see how uncomfortable it makes him feel. Haven is filling up quick and Jim doesn’t blame the citizens of Gotham. Himself and Harvey have seen what it’s like now. Harvey’s main concern is the gangs from the last episode will come looking for them, Jim is up for it. Harvey reminds Jim that ammunition and food is low. Harvey also checks up on the health of Jim as he isn’t getting much sleep. With wise words Harvey wants Jim to share the load as he doesn’t want Jim falling apart. Bruce is helping out at Haven. As he shows Jim the filtering system for the water some of the residents argue over food. Jim breaks it up which gives him the opportunity to remind the new residents of Haven there are rules. One of them is, fighting stays outside. Bruce likes how Jim’s speech to the residents works. Jim reveals the truth to Bruce that the government is not willing to help. He is sorry, Bruce doesn’t think Jim needs to apologise as he is holding things together and giving people hope. Will Thomas the boys who escaped from The SoothSlayers had a nightmare and fell out of his bed and broke his arm. Bruce asks Jim to go and see him. Will doesn’t want to join the other children. Bruce lets Will know that they can’t begin to understand what he has been through. Jim with a voice of confidence promises Will, he will never let anyone hurt him ever again. Our newly born Catwoman has flashbacks of Jeremiah shooting her. The images also show Selina and Bruce sharing a kiss. Selina wakes realising she is in her hospital bed and she can walk again. Her first place to visit is Haven. Selina walks through the rows of bunk beds looking for someone. Bruce is surprised to see her as she still needs rest. Selina very bluntly responds “does it look like I need rest?” Well no. Selina has never felt better and now she wants to finds the person who shot her. Bruce knows there has been no sightings of Jeremiah since the bridges blew. But Haven is full of refugees that have come from different parts of Gotham. Selina is sure someone at Haven will know something. Bruce wants to go after Jeremiah just as much as Selina does. But Jeremiah has had months to fortify himself. Selina asks Bruce if he’s scared? Of course Bruce is. Jeremiah shot Selina to get to Bruce, and Bruce won’t loose Selina. But Selina isn’t Bruce’s to loose. Bruce can’t stop Selina going after Jeremiah but she is asking for Bruce’s help. Bruce has terms that Jeremiah is brought to Haven to stand trial for what he has done. Selina laughs and kisses Bruce because she was hoping she could count on Bruce. 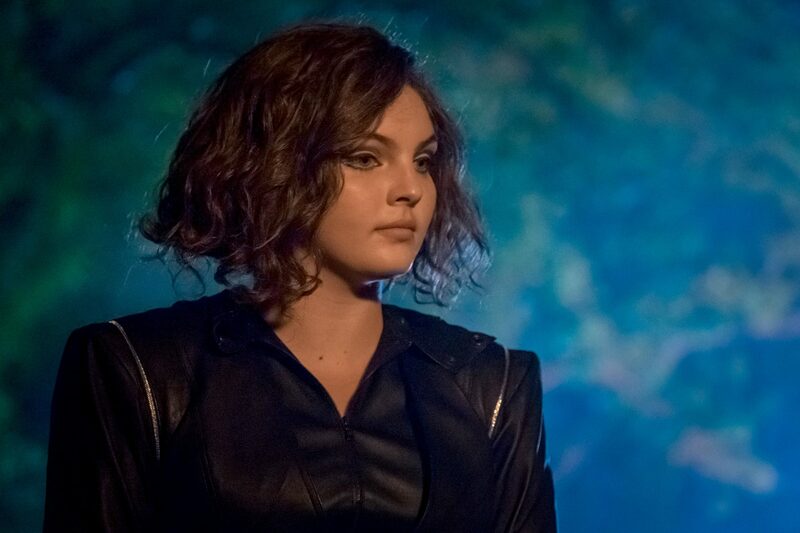 Selina and Bruce do find someone at Haven that has heard rumors about Jeremiah in the Dark Zone. The Dark Zone is located at the other end of the Island. It’s chaos and ruled by those that have lost their minds. He says that Jeremiah is there, gathering followers. Selina is confident with this lead but the man grabs her arm and begs her not to go there. Bruce explains that they have fought Jeremiah before. The man warns Selina and Bruce that Jeremiah is the least of their worries as everyone there is insane. The mans friend is laid on a bed and he pulls back the blanket to show his torso covered in knife slashes where the word ‘kill’ is carved into his skin. Oswald wakes to find out everyone is gone. The only person that is around is Olga, the best housekeeper in Gotham. She is singing Penguins song. Penguin has to sing ‘stop’ to get Olga’s attention. Mr Penn, the choir, and the guards all have gone to Haven. In Olga’s thick Russian accent she breaks the news that even Edward the dog went willing. Oswald still in his underwear rages and throws Olga’s bucket of water over one of the Street Demonz. He is in luck as Jim Gordon is luring people away from every territory in Gotham including his. Oswald feels its in their interests now they are aligned. The other Street Demonz chained up beside of him already died. Oswald wants him to contact the Lo Boyz and The Undead gang. Oswald has the bullets, they have the vehicles and gas, its time to pay Haven a visit. In a great comedy moment Oswald mentions he is going to do this when he puts some clothes on. The border guards have just radioed through to Harvey, Penguin has broken through the barricades. Jim tells everyone to load up as he confident they can beat Penguin to Haven. Harvey is concerned with the lack of bullets between them. Jim knows he is right as if they get into a firefight they will be dead. Jim wants Harvey to go and get some help, Harvey isn’t sure if they have any friends left. Jim is putting his hope in one. Selina and Bruce are walking in the Dead Zone. Selina comments how it should be called the Dull Zone. Bruce smiles to himself and mentions to Selina she seems herself again and he is glad. Selina remembers the block they are walking in it used to be the posh part of Gotham. Bruce knows everyone with money left Gotham. Selina asks why Bruce didn’t, simple he had a reason to stay. They pass a car with a dead man in the drivers seat. They hear another mans voice pleading for help, one of hands is taped behind his back. Bruce goes to help but Selina stops him and pulls him down for cover. 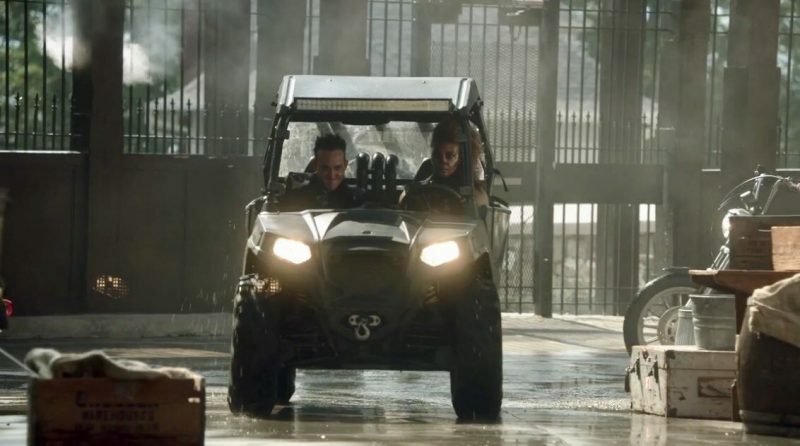 Her instincts were right the man explodes and sharp nails fly into the car that is shielding Bruce and Selina. They hear a cackling noise as a gang come running down the path and start hacking at the remains of the body. Selina guesses that they carved the word ‘kill’ into the torso of the man back at Haven. Selina also wonders if they know anything about Jeremiah. Bruce wants to find someone else to ask and wants to leave before the gang sees them. 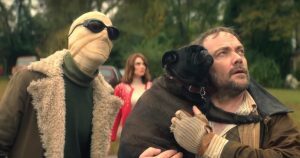 To late three members of the gang which just happens to be The Mutants are not really wanting to talk about the location of Jeremiah. Without doubt this next scene was going to be a great action sequence as our Catwoman just wants to take on the Mutant leader and he’s up for taking on Selina. Meanwhile Bruce is being ambushed by the rest of the gang. Mr Penn is conducting The Gertrude Kapelput Memorial Choir in the court yard at Haven. Jim wants everyone inside but hes too late as The Undead, Lo Boyz, and Penguin arrives with The Street Demonz. 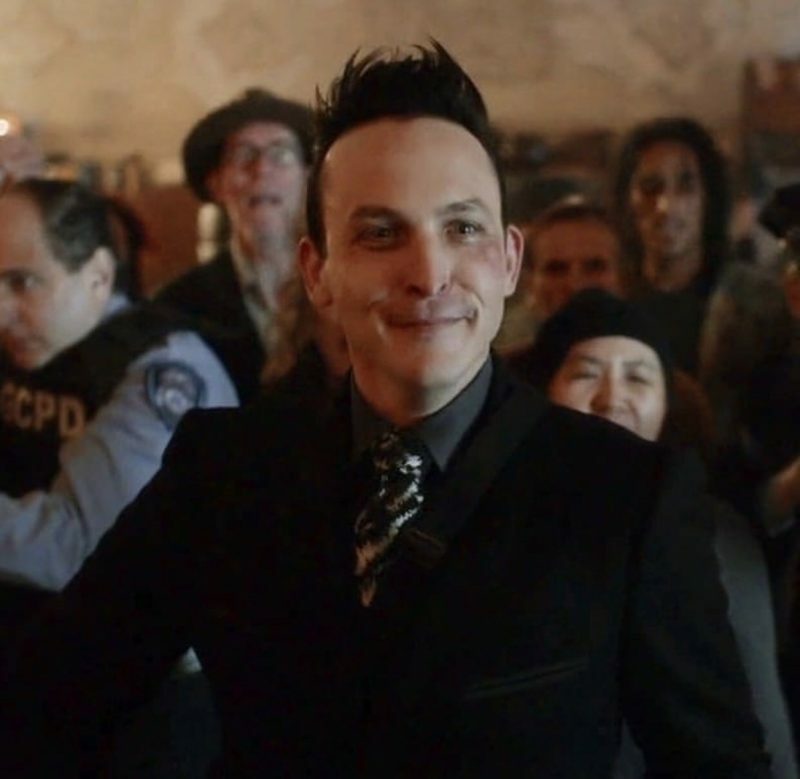 Oswald says hello to Mr Penn first and his tone changes to his usual sarcastic tone when he see the choir as its so nice for him to see some familiar faces. Jim tells Oswald that he should of not come to Haven. Penguin would of stayed away but Jim stole his people and his dog. Jim explains that every refugee is there of their own free will and under the protection of the GCPD. Oswald calls out to Edward his dog who looks up at Mr Penn and doesn’t move. Penguin is going to make this very easy for Jim, he needs to return his people and Edward or he will destroy Haven. Its a no from Jim and tells Oswald to turn around unless he wants a bloodbath. Penguin has news for Jim he heard about his excursion through the territories so the ammo Jim stole from him must be getting low. Which means Jim is bluffing. Oswald orders The Undead gang to move forward, he aims his gun but Jim fires first with the other members of the GCPD. If Oswald wants to test them, Jim’s men could use the target practice. Mutant leader is ready to slice and dice Selina because she looks soft. Selina calls him “300 pounds of ugly.” Bruce continues to fight. Selina uses some pretty smooth moves and asks Mutant leader again “where is Jeremiah” he knocks her to the ground and she leaps like a cat on top of him. Selina has claws on her leather gloves and every time she asks where is Jeremiah, Selina slashes him. Mutant leader eventually gives Selina the information that Jeremiah is in Old Town North. Selina can’t stop slashing him with her claws. Bruce shouts out to Selina for her to stop, when she doesn’t he uses his Batarang to wrap around her wrist to stop her. Bruce tells Selina she won, she is delighted at how easy it was. Penguin is confident Jim is bluffing as he knows Jim Gordon. The gangs are not so confident. Oswald sends three members of the gang in to find out, the GCPD and Jim fire upon them but one walks and expects to get shot but it proves Jim is out of bullets. Jim knows he has no choice and tells the rest of the GCPD to put their weapons down. Bruce and Selina make their way to Old Town North. As Selina is walking, doing forward rolls and cartwheels over parked vehicles, Bruce asks what happened with The Mutant leader. Selina wanted him to take her seriously, but Bruce believes she didn’t have to hurt him. Selina asks which side Bruce is on after all he did try and kill her like Jeremiah. Bruce reminds Selina he is always on her side. They find an arch with bars on with a painting of Jeremiah lit up by candlelight. Bruce and Selina are close as they walk up some steps and follow some young men inside. A figure in a hooded blue, red and white smock wearing a white mask. She welcomes the pilgrims to the Church of Jeremiah Valeska. Her voice is soft as she tells the pilgrims that they are only in the place where they can become the very best selves. Bruce questions who she is. Selina is confident that she knows where Jeremiah is. Bruce reminds Selina they are doing this together but Selina doesn’t remember saying that. The mysterious church leader knows they have come to see Jeremiah but he requires a show of faith. She asks them not to be shy as Jeremiah awaits. Some of the young pilgrims stand as they are willing to be Jeremiah’s most faithful followers. She points to some stairs where the pilgrims must go. She, I think it’s obvious that it’s Jeremiah’s loyal assistant Ecco, turns to the pilgrims that are seated and in a angry voice tells them to leave. Selina steps forward and Ecco comments she doesn’t look like a supporter of Jeremiah. Selina assures Ecco that she is an admirer of Jeremiah’s work as she has experienced it first handed and she will never forget it. Ecco points to the direction that Selina needs to go. Selina curtsies to Ecco as she passes her. As Selina makes her way up the stairs Ecco whispers in the ear of a young man, she knows who Selina is. Removing her mask to reveal some pretty crazy white face make up. Ecco is definitely a proto Harley Quinn and she looks fantastic. Jim is being taken to cage and tells Oswald he going to regret this. Oswald chuckles as he considers that strong words from Jim especially as he is out of options. First of all Oswald is going to make Jim watch as he destroys Haven. Then shoot Jim and leave him for dead just like Jim did to him. Jim reminds Oswald that when the government rebuilds the city, Oswald will be at the top of list. Oswald knows the government has abandoned Gotham and the only law is power which belongs to him. Jim wants to know what will happen to the families and children. Oswald showing his unforgiving side thinks they will all go back to be slaves. Jim knows this is revenge against him and is happy to accept Oswald’s worst but he wants the refugees left out of it. Oswald finds this tempting but he going to stick to his original plan. Mr Penn is being chained up by one of The Street Demonz. Penn calls to Mr Cobblepot and Oswald immediately tells the Street Demonz to stop as Mr Penn belongs to him. But because Oswald killed one of the Street Demonz Mr Penn has to be sacrificed! Oswald completely ignores what Street Demonz has said. Mr Penn is so thankful as Oswald starts removing his chains and a bullet is fired into the heart of Mr Penn. No! 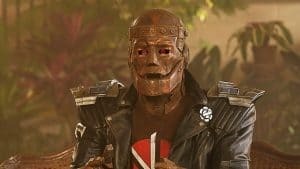 Another one of my favourite characters has been killed. Oswald himself is genuinely shocked at this shooting and places his hands over Mr Penns heart. With an apology from Mr Penn, Oswald calls him a fool as this would never of happened if he didn’t leave. 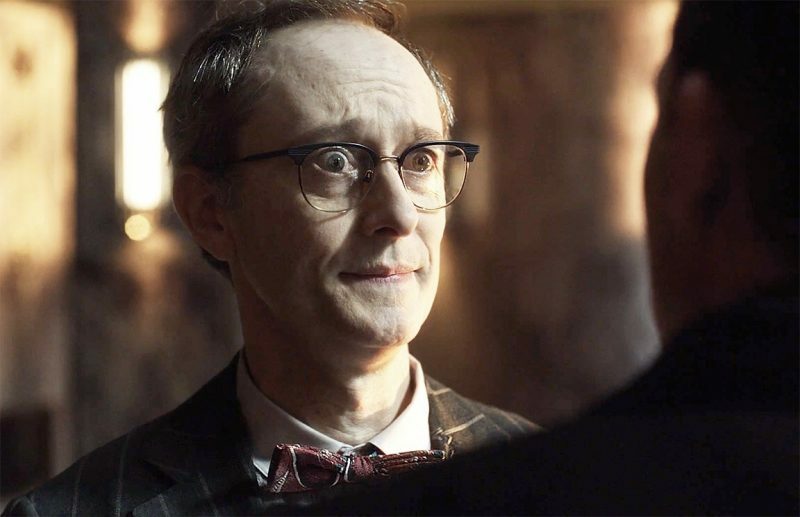 Oswald asks Mr Penn “why did you leave?” Mr Arthur Penns last words are “everyone hated you.” From an emotional scene to Penguin raging at the Street Demonz as he will pay for this. The Street Demonz isn’t concerned with Penguin and knocks him out with the back of his gun. 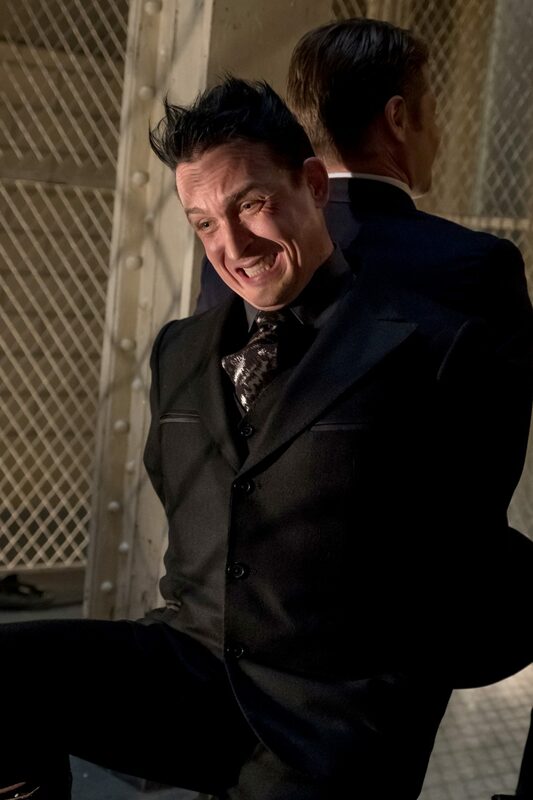 Oswald is taken to the cage where Jim Gordon is being held. Jim and Oswald are now both prisoners with their hands tied behind their backs. Jim confidentially enquires that things have not turned out as well as Penguin hoped. Detective Harvey Bullock arrives at The Sirens and calls out for Barbara. She surprises Harvey out of the darkness and puts a knife to his throat as he needs reminding no men allowed in The Sirens. Harvey is sorry to bust up ladies night but Jim needs Barbara’s help. She asks if Harvey is tired of being Jim’s sidekick but Harvey sees it differently. Himself and Jim are friends and they are fighting for the same thing. Barbara talks about when Harvey and Jim first became partners. 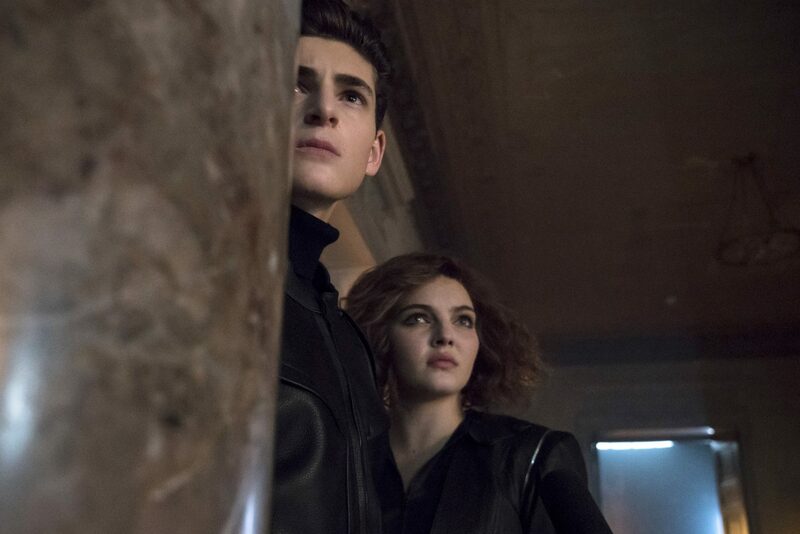 Jim the idealistic cop, Harvey the cynical cop and now Barbara thinks Harvey carries his laundry and asks has he ever thought what his life would be like if he hadn’t meet Jim Gordon. Harvey responds, he would be dead or wishes he was. Barbara thinks Harvey is disillusional just like all the other sad people in Gotham. Harvey is in a hurry and he understands Barbara’s history with Jim. But as soon as Harvey mentions Penguin, Barbara intercuts his sentence and tells Harvey he should of mentioned Penguin straight away as she doesn’t hesitate to help Jim. This rages Oswald slightly and again Jim tells him to hush. Will Thomas is leading two of The Street Demonz where Jim and Penguin are being held. Will is telling the men he is sure he saw a stash of something over on the shelves. Oswald asks who he is, Jim explains Will is a friend. Again another great sassy moment from Jim he tells Oswald to act normal but he understands that’s strange for him. Whilst the Street Demonz look for alcohol, Will throws something flat and sharp under the cage. Oswald has his foot on top of it so the Street Demonz doesn’t see it. Penguin boasts he is going to get out and will help the gangs bring Haven to the ground. Jim aks what happens when Oswald makes it back to his territory as the gangs will come after him. Jim is asking Oswald to join forces so they can take the gangs out straight away. It’s a deal, Oswald moves the sharp object benmeath his shoe and asks Jim how do they pick it up? In another true classic moment between Jim and Oswald, they need to work together to pick up the blade. Without saying a word they know what they need to do, they turn back to back and slide down to the floor. Bruce walks down a dark corridor his foot kicks something. 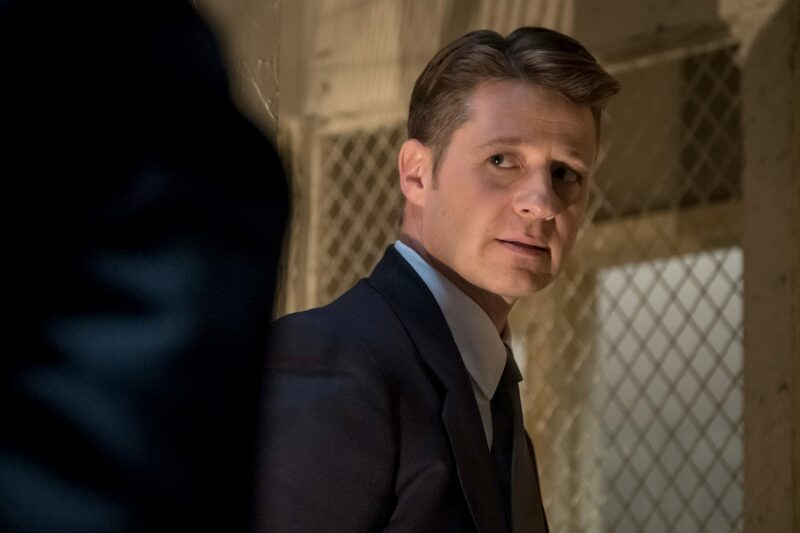 Gotham has had many gruesome moments and the next scenes are some of them. Bruce shines his torch to find dead bodies of young women and men with bulletholes either in their forehead or in the back of their head. Ecco stands in an empty swimming pool which has blood splattered up the sides. The pilgrims that want to be Jeremiah’s faithful followers walk down the steps to join her. This is a game of Russian Roulette as Ecco reveals six shooters and each of them get one gun and one bullet. The pilgrims rush forward and load the guns whilst Selina asks exactly what is this? Ecco repeats this is a show of faith. Ecco crazily calls Selina chicken so she steps forward and loads the last gun. A circle is formed and everyone places the gun they hold to the back of the head of the person in front of them. Ecco is back up on higher ground and tells the pilgrims that this will make Jeremiah so happy. Ecco counts to three and Bruce hears gun shots. Ecco is disappointed with Selina as she grabbed the gun from the person behind her and didn’t fire the one she held. Selina sees herself as not being a mindless idiot who is willing to get shot in the head for nothing. Ecco nicknames Selina, Curls. Ecco calls out to the surviving pilgrims if they can hear what Selina is saying. Ecco think Selina is there to judge them all and Jeremiah’s methods, which she finds fitting as to outsiders it seems like madness. But Jeremiah’s methods will be their salvation. Ecco wants a word with Selina on her own so she congratulates the pilgrims and tells them to leave so they can be reborn. Selina leaps on Ecco and grabs a gun. She sees a flashback of herself being shot as puts the gun in Ecco’s face. Selina dares Ecco to call her pudding and asks again “where is Jeremiah?” Bruce appears and tells Selina to drop the gun. Selina presses the gun further into the forehead of Ecco her rage is building and Ecco stabs her in the leg and escapes. Ecco makes it through an opening and a gate closes behind her and she waves goodbye to Selina. Bruce is concerned and wants to get Selina patched up as she is bleeding. Selina has had enough and handcuffs Bruce to the gate. Selina wants to do this her way and not Bruce’s. She leaves Bruce handcuffed to the gate as he shouts after her. Back at Haven the gangs have some officers of the GCPD cornered. To their surprise Jim appears and aims his gun at them. The Street Demonz wonder how Jim got free but he thinks Jim is bluffing again and won’t shoot them. Penguin appears at the other end of the room and confirms Jim isn’t bluffing and neither is he. Oswald is holding a machine gun and shoots some of the gang members. In a very cute moment Edward the dog walks up to Oswald and Oswald tells him he killed the bad men. The GCPD officers and the refugees of Haven all appear and start chanting Penguins name. Oswald looks around in surprise as he realises the people of Haven finally love him. Unfortunately Jim is getting a hard time from the refugees of Haven as they they were told by Jim they would be safe at Haven, and that has not been the case. Jim requests they listen to him. He understands that this day at Haven has been a hard day and he can’t promise there won’t be others. They won! They now have Penguins gun and ammunition they survived another day. Just as long as they survive, hope survives in Gotham and Jim thinks that is worth fighting for. There is work to be done at Haven as tomorrow is another day in Gotham. Moments like this in Gotham is one of the reasons why Jim Gordon has become one of my favourite characters in this season. Jim takes time to thank Will Thomas for being brave in helping him and Penguin escape. Will wanted to help because Jim helped him and saved his friends. Jim gives Will his police badge and makes him his deputy. Will has a small confession, the tin of Pineapples that Jim gave him earlier he hasn’t eaten because he is allergic. Penguin is outside with a GCPD Officer. As soon as Oswald sees Jim he asks if being watched by the officers is really necessary as he just saved hundreds of lives. Jim mentions that Oswald endangered them to begin with. Jim asks for forgiveness as he wanted to play it safe. Oswald hopes there are no hard feelings. Jim doesn’t answer this as he knows Oswald did the right thing so he is free to go. Jim asks Oswald not to make him regret it. Harvey calls out Jim’s name as Barbara with a gun aimed calls out for Pengy. Oswald looks horrified and asks for Jim’s protection. Jim tells Barbara to hold her fire but she screams for Jim to move. Jim tells Barbara whilst Oswald is in the green zone she can’t touch him. Again Barbara asks Jim to move but he refuses. Whilst Barbara and Jim stare each other down another jaw dropping moment happens in Gotham. Haven explodes knocking Harvey, Jim, Barbara and Penguin to the ground. Jim manages to stand up and in a perfect reaction moment his jaw drops at the devastation. 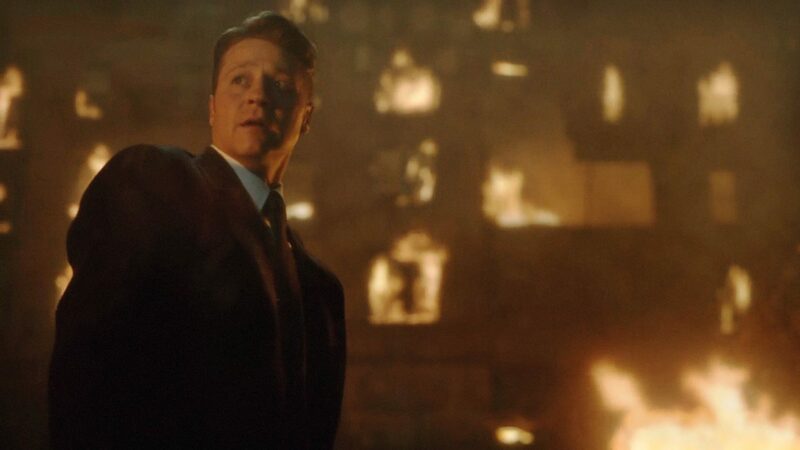 Just as Jim was making people see there is hope of survival now on this island of Gotham, this explosion is almost a message to Jim that he will never be able to tame Gotham. Who is responsible for this explosion at Haven? Was it the same person who blew the helicopter out of the sky in episode 1? Was it a resident of Haven? Only a small negative about this episode for me personally we were missing Edward Nygma and Alfred Pennyworth. Otherwise I score this episode 10/10.